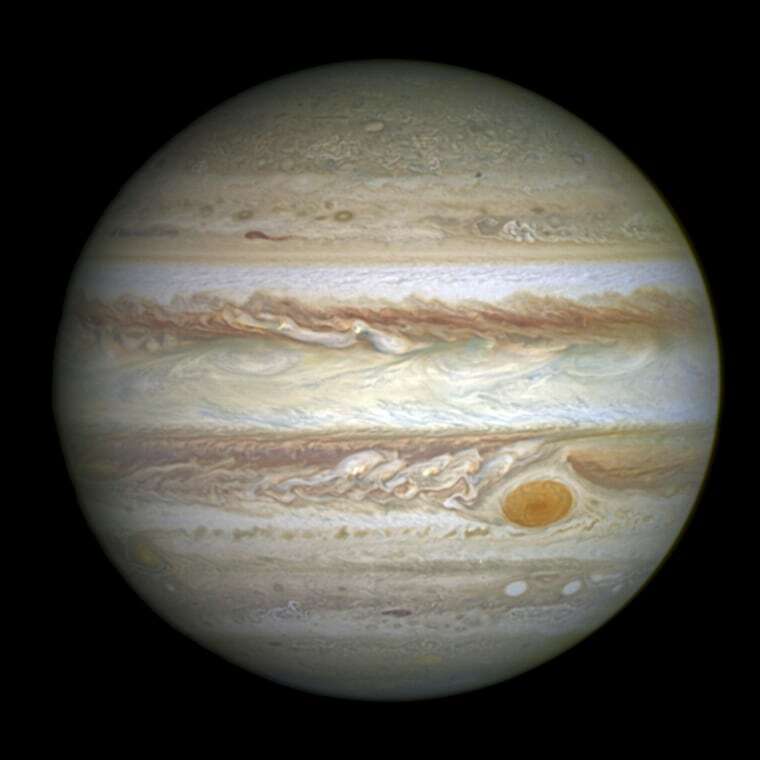 Jupiter's Great Red Spot, one of the biggest and best-known storms in the solar system, isn't looking so great nowadays: In fact, astronomers say it has shrunk to the smallest size ever measured. In a series of pictures taken by the Hubble Space Telescope last month, the anti-cyclonic storm now extends about 10,250 miles (16,500 kilometers) across. That's less than half of the 25,500-mile extent that was measured in the late 1800s. In 2012, amateur observers reported that the shrinkage was accelerating to a rate of about 580 miles (930 kilometers) per year. Also, the Red Spot's oval is turning into more of a circle. What's going on? Amy Simon, an astronomer at NASA's Goddard Space Flight Center, says the Hubble pictures hint at how the storm is shifting. "In our new observations it is apparent very small eddies are feeding into the storm," she said in a news release. "We hypothesized these may be responsible for the accelerated change by altering the internal dynamics and energy of the Great Red Spot." For more about the shrinkage, tune in a Google+ Hangout with the Hubble team's astronomers, due to air live at 4 p.m. ET May 22.